Nationally, Republicans in Congress refused to use their majority to make any meaningful reforms. And now Oregon is controlled by an even larger number of rights hating leftists. This is the time to fight even harder. 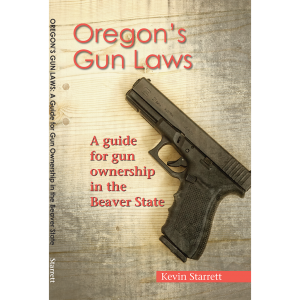 Please sign up for our legislative alerts to stay informed about gun rights in Oregon. If you have not already done so, we urge you to use the link above to sign up for our timely and vital legislative alerts. New Oregon Firearms Apparel Shop. Get Oregon Firearms gear here. A Response to Brian Boquist. Get Gun Owner’s Insurance Here. Shop at Fred Meyers Or On Amazon.com And Earn Donations for Oregon Firearms Educational Foundation!